VERONA/MONONA-Warren Harry Webster, age 103, of Verona, passed away on Sunday, June 17, 2018. He was born on April 25, 1915, in Madison, the son of Stanley and Tomona (Jacobson) Webster. He graduated from Madison East High School, class of 1933. Warren received his wings in the Royal Canadian Air force where he served from 1941 until 1944. He then transferred to the U.S. Air Force where he was a P-47 pilot with the 406 World War II Fighter Group completing fifty missions over France and Germany. 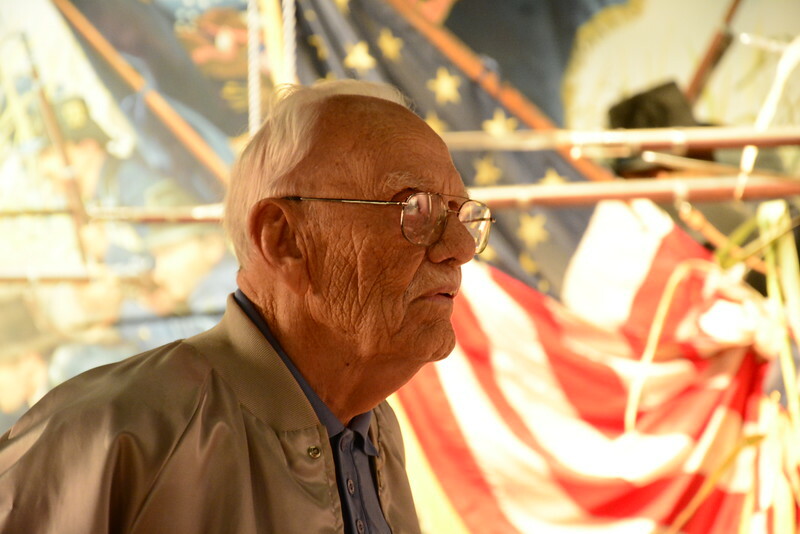 Warren then served in the U.S. Air Force Reserves from 1946 -1974 where he retired a lieutenant colonel. He married the love of his life, Mary Hyland on Aug. 7, 1942. They enjoyed over 60 years of marriage. He was a charter member of Monona United Methodist Church, and a member of several military associations, including the Verona American Legion Post No. 385. Warren loved tennis and played into his 101st year of life. His greatest joy was spending time with his family. Warren is survived by his two daughters; Mary (Gary) Feldt of Verona and Susan (N. Jim) Johnson of Milton; four grandchildren, Richard (Cindy) Feldt, Dylan (Allison) Feldt, Trisha (Daniel) Fisher, Melissa (Roy) Schoenbrodt; eight great-grandchildren, Jacob, Adam, Chloe and Kane Feldt, Alexis and Victoria Fisher and Emily and Kennedy Schoenbrodt. He is also survived by nieces, nephews, extended family and friends. He was preceded in death by his parents; wife, Mary; and sister, Valbor Caldwell. Funeral services will be held at MONONA UNITED METHODIST CHURCH, 606 Nichols Rd., Monona, at 11 a.m. on Friday July 6, 2018. Visitation will be held at GUNDERSON EAST FUNERAL AND CREMATION CARE, 5203 Monona Dr., Madison from 6 p.m. until 8 p.m. on Thursday July 5, 2018, and at the church from 10 a.m. until the time of the service on Friday. In lieu of flowers, memorial donations may be made out to Monona United Methodist Church, Agrace HospiceCare or Verona American Legion Post No. 385. The family would like to thank Agrace HospiceCare for their love and care.